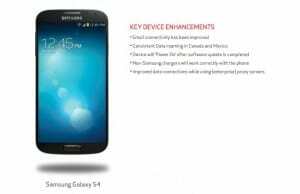 US carrier Verizon has released another update for their branded Samsung Galaxy S4. 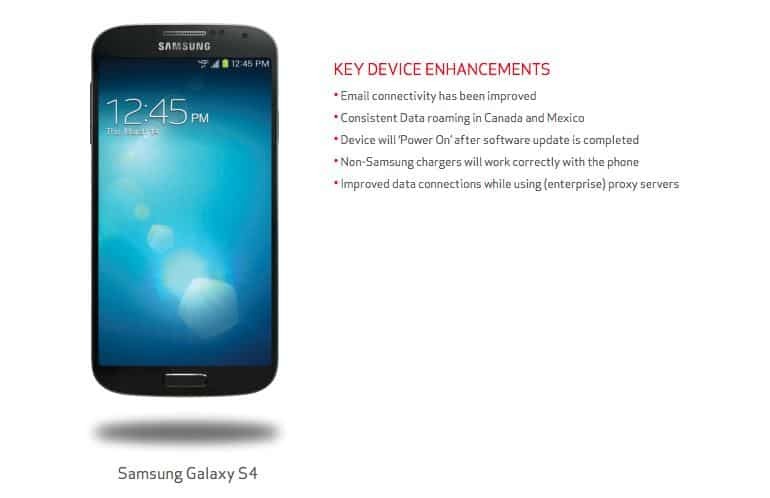 The update is a stability improvement for Android 4.3 meant to fix certain issues that users have reported. 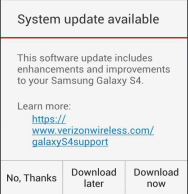 A message should appear on the screen telling you that an update is available. You can choose download now or download later. If you want to update later, go to Settings, About Phone, System Updates.